Former governor and Libertarian presidential candidate Gary Johnson is polling the highest of third-party candidates, although he did not qualify for the upcoming first debate. He speaks with Gwen Ifill about what he sees as unfair election polling, how he would do away with the “added layer of bureaucracy” that is the Department of Homeland Security and the Black Lives Matter movement. GWEN IFILL: Only five days until the first presidential debate, but Libertarian nominee Gary Johnson won’t be on that stage, after saying it was his only path to victory. That’s where Governor Johnson and I began our conversation earlier today. FORMER GOV. GARY JOHNSON, Libertarian Presidential Nominee: Interestingly, something that I didn’t know is that I am polling higher than Ross Perot was polling before he was admitted into those debates. GWEN IFILL: The rules were different. FORMER GOV. GARY JOHNSON The rules were different. And, of course, the rules were really adopted to make sure that a third party would never be on the stage again. 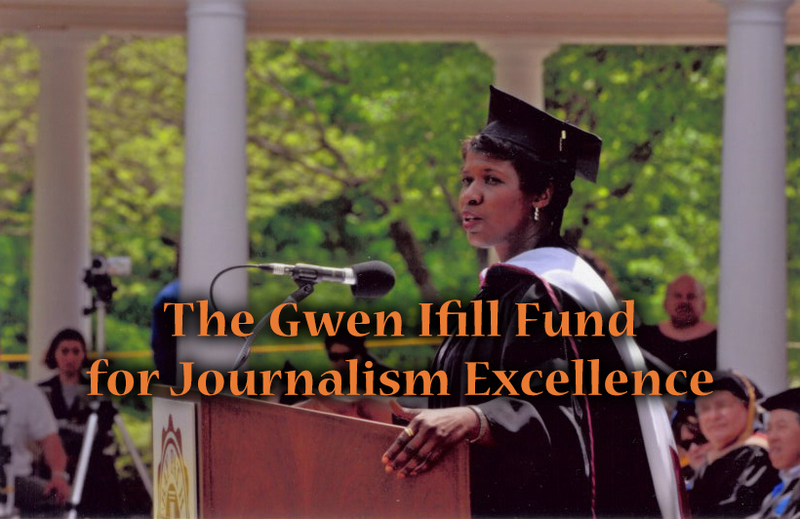 GWEN IFILL: So, what do you do? FORMER GOV. GARY JOHNSON: Well, you just keep plugging away. I mean, I’m representing, I think, the majority of voters in this country. The majority of voters in this country don’t know that, but, you know, that’s my task, and, speaking broadly, fiscally conservative, socially inclusive, skeptical when it comes to our military interventions, regime change, and free market, devoid of crony capitalism, devoid of pay-to-play. GWEN IFILL: But you have just described for me a rock and a hard place, classic. If you don’t get known, you can’t get on the debate stage. FORMER GOV. GARY JOHNSON: It’s a catch-22, yes. No, it’s totally a catch-22. GWEN IFILL: So, there is, as we have seen in lots of polls, evidence that there are a lot of voters out there who don’t much like Donald Trump, don’t much like Hillary Clinton, who are curious about you. How do you get them to find out? FORMER GOV. GARY JOHNSON: Well, I have never had an issue with 15 percent. GWEN IFILL: Which is the barrier to get on the debate stage. FORMER GOV. GARY JOHNSON: Yes. But here it is, is that my name has never appeared in one national poll as the first question, Johnson, Trump, or Clinton, not one. GWEN IFILL: Why should it? FORMER GOV. GARY JOHNSON: Well, that I’m on the ballot in all 50 states. And I’m the only third party on the the ballot in all 50 states. I have maintained, tongue in cheek, that if Mickey Mouse were the third name on that top line, Mickey would be at 30 percent. Mickey is a known commodity. But Mickey is not on the ballot in all 50 states either. GWEN IFILL: How do you capitalize on the unpopularity of the other candidates, and maybe make the support that you have, which might be soft, if it doesn’t look like you’re going to be on the debate stage? How do you harden that up? FORMER GOV. GARY JOHNSON: Well, actually, I think the support is really hard. Last night, there was a poll released that I’m number one among independents right now. And that’s something I would want to point out also, is, is that the largest group of the voting population is independents at about 45 percent now of the population. Where’s their representation? Well, as of last night, I’m leading in that group, which I think speaks volumes. GWEN IFILL: I’m going to now give you an opportunity to get past polls and talk about governing and leadership. FORMER GOV. GARY JOHNSON: Yes. Yes. GWEN IFILL: So, this week, we have seen a series of attacks in New York and New Jersey, attempted attacks in Minnesota. It never seems to go away. You have advocated eliminating the Department of Homeland Security. Is that something you would still do, giving what we are facing? FORMER GOV. GARY JOHNSON: Yes. No, I just think that it’s an added layer of bureaucracy that really hasn’t accomplished anything. But talking about governing, this was what I really enjoyed being — what I really enjoyed being governor of New Mexico, is really being at the center, in this case, if I were president of the United States. Clearly, what we’re doing is working up to a certain point, but, clearly, right now, there’s a breakdown. And I’m talking about the shooter in Orlando, the fact that they did know about this guy in New York. At least, you know, he was on the radar screen. Is it an issue of more resources? I have found that those in law enforcement, you know, they really do know their jobs. GWEN IFILL: But you would break apart the Department of Homeland Security. That wouldn’t make our ability to fight these people or track those people weaker? FORMER GOV. GARY JOHNSON: No. Keep in mind, these are 22 agencies that were brought together under the Department of Homeland Security. In my opinion, they left their homes that they had existed in for a long time, and that right now we just have an added layer of bureaucracy that really isn’t accomplishing anything. I don’t know what armed homeland security officers, uniformed officers armed walking the streets are doing in this country. I have no idea what they’re doing. GWEN IFILL: How about the unarmed people who actually track these terrorists? FORMER GOV. GARY JOHNSON: The unarmed people. FORMER GOV. GARY JOHNSON: Well, these are agencies that, like I say, were doing this prior. So, nothing new was created with the Department of Homeland Security. I just think that this should be a function of the FBI. I mean, this should be the FBI. GWEN IFILL: Let’s talk a little bit about leadership again, as we have seen this week in Charlotte and Tulsa and around the country unrest, racial unrest. How would you lead on that issue? FORMER GOV. GARY JOHNSON: Well, in this case, black lives do matter, blacks getting shot at six times the rate of whites. GWEN IFILL: I want to ask you to focus on police — what is alleged to be police misconduct, though. What does that have to do with the war on drugs? FORMER GOV. GARY JOHNSON: I think it has its roots in the war on drugs. I think the roots of discrimination does exist in the war on drugs, when it comes to police recognizing that this is happening, that, when I’m pulled over, I’m not — I’m not pulled out of the car. I am not provoked to point that I get angry, and I have cuffs put on me because I’m white. GWEN IFILL: What does a president do? FORMER GOV. GARY JOHNSON: That the president, number one, recognizes it, and is able to engage in the dialogue. Secondly, the president controls the Department of Justice. What are the threads that exist in communities where there is the least amount of discrimination? What are the threads that exist in communities where there’s thee least amount of police violence, conversely, the worst? The president of the United States being to articulate this, being able to bring about change. High-profile shootings in Albuquerque, my state, my Albuquerque, my — where I grew up, Department of Justice came in, made recommendations. They were good recommendations. They’re being followed. Look, that’s a role that the federal government can and should play in all of this. GWEN IFILL: Gary Johnson, Libertarian candidate for president, thank you very much. FORMER GOV. GARY JOHNSON: Gwen, thank you very much. GWEN IFILL: Why do third-party candidates do better in certain election cycles? We take a look at history to explain America’s on-again/off-again love affair. Find it on our Web site, PBS.org/NewsHour.